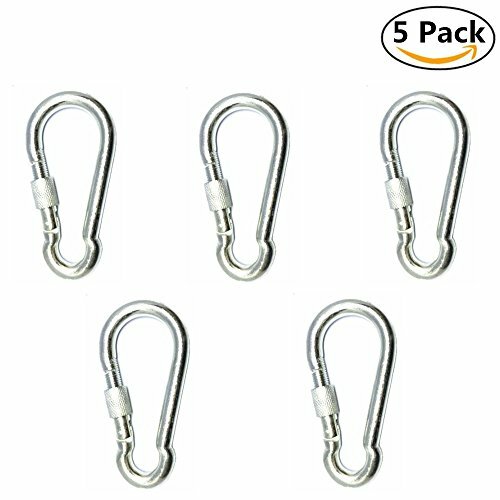 Package Includes: 5 Stainless zinc coated steel screw locking carabiner Spring loaded gate for fast on/off. stainless steel. Added security of screw lock mechanism to keep closed and load secure. Ideal use for bags or items when traveling, hiking or camping...etc.- should not be used for climbing.